Who is the Car Connectivity Consortium? The Car Connectivity Consortium® (CCC) is a cross-industry organization advancing global technologies for smartphone-to-car connectivity solutions. CCC is developing Digital Key, an exciting new open standard to allow smart devices, like smartphones to act as a vehicle key. Digital Key will let drivers lock and unlock their cars, and even let them start the engine and share access to friends or valets, using their phones. Another project, Car Data, will create an ecosystem to link the ever-expanding set of vehicle data to authorized data usage, such as pay-how-you-drive insurance, road monitoring, and fleet management. 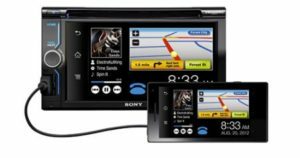 CCC previously developed and launched MirrorLink®, an open standard for connecting apps between the smartphone and the car. MirrorLink® is currently used in millions of cars and smartphones. CCC includes a large number of stakeholders, including Car OEMs, Tier-I suppliers, Phone Manufacturers, and App Developers. When it comes to cars and smartphones, the Car Connectivity Consortium (CCC) makes it possible to simply connect and ride. No matter the device or vehicle, the CCC wants connectivity to be easy and safety-conscious. The CCC makes this possible via MirrorLink™, a standard for controlling handsets from the dashboard or steering wheel. Across certified cars and smartphones, consumers can access certified apps and other content from a familiar, ‘projected’ interface. The CCC has also started work on two newer projects, Digital Key and Car Data. Digital Key will enable consumers to conveniently lock/unlock their vehicle and start their engine using their smart devices. Advanced key provisioning and sharing will also be supported. And Car Data will connect consumers to service providers who will offer tailored vehicular services enhanced by vehicle data. The CCC rigorously evaluates devices, cars and apps before granting certification. Users get a fun, compliant and hassle-free experience in return.